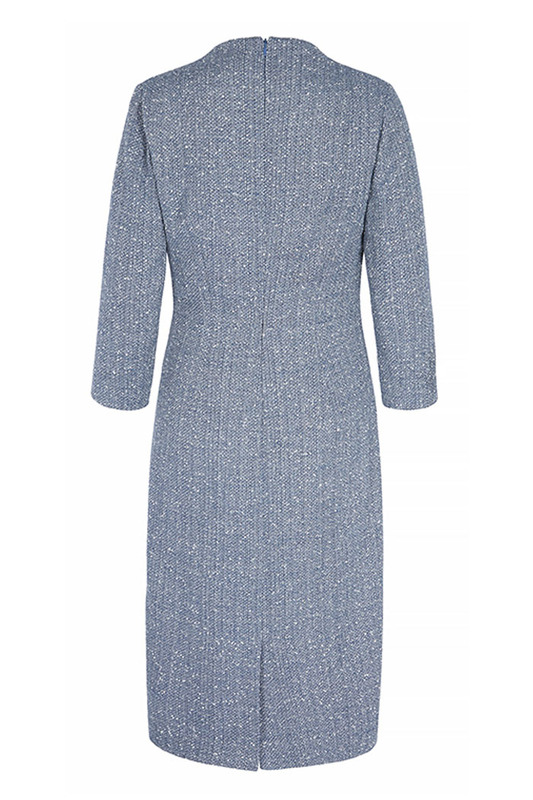 Make an entrance with this sky blue tweed dress, highlighted by shimmering flecks of silver. 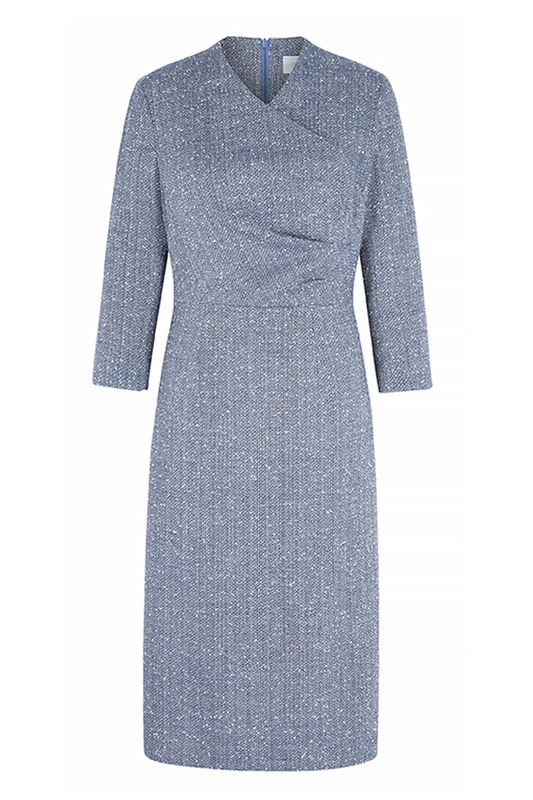 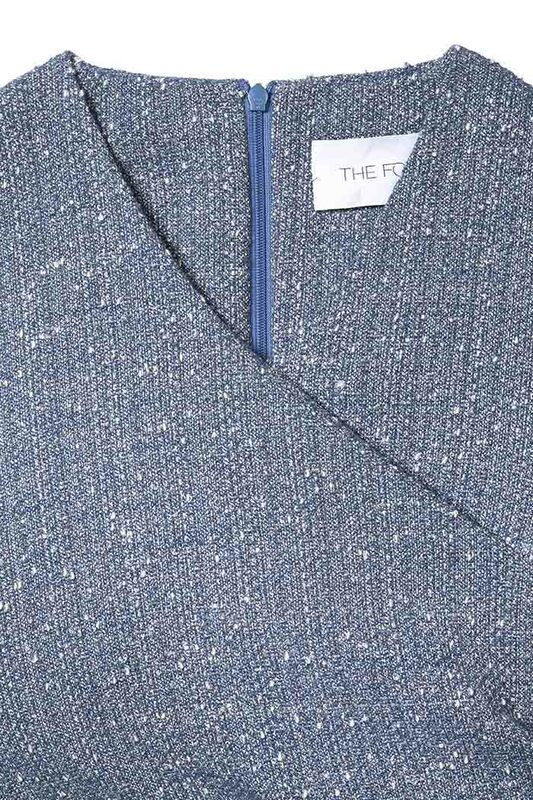 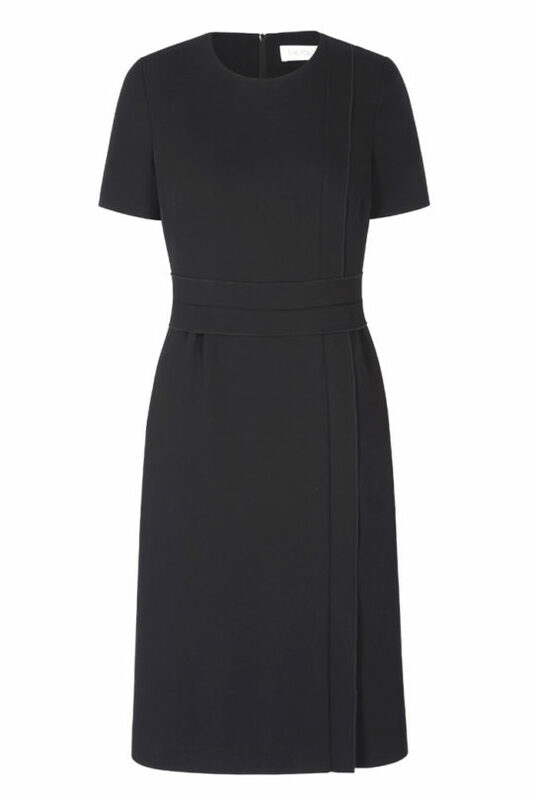 Offering a refreshing alternative to navy, the waist-cinching Westbourne dress is cut from sky blue Italian stretch tweed with a subtle Lurex thread running through. 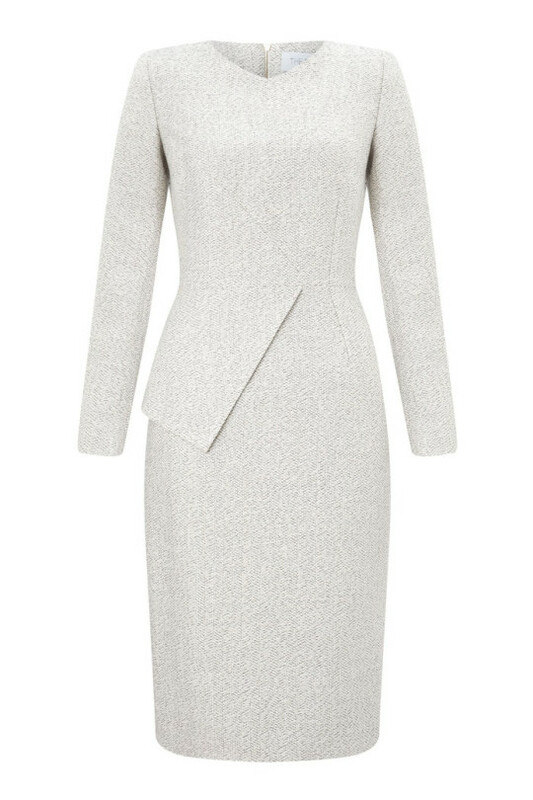 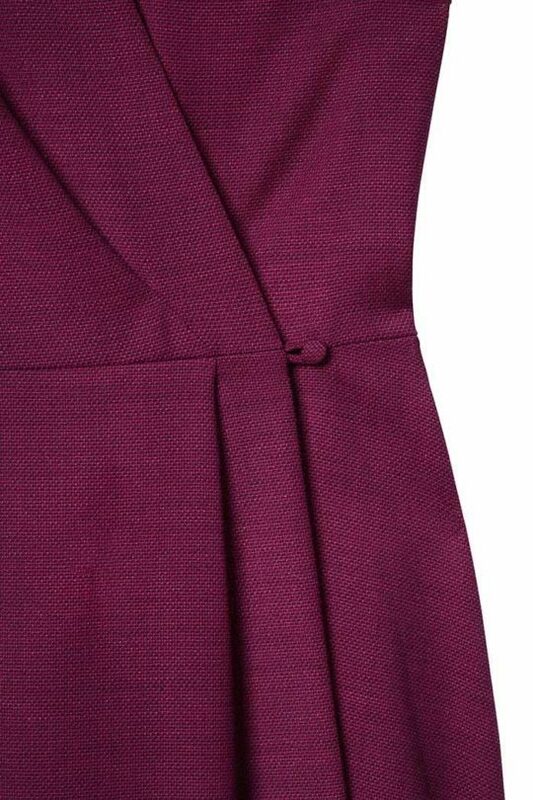 The bodice has an incredibly flattering high V-neckline and wrap-effect front, complemented by a slender pencil skirt. 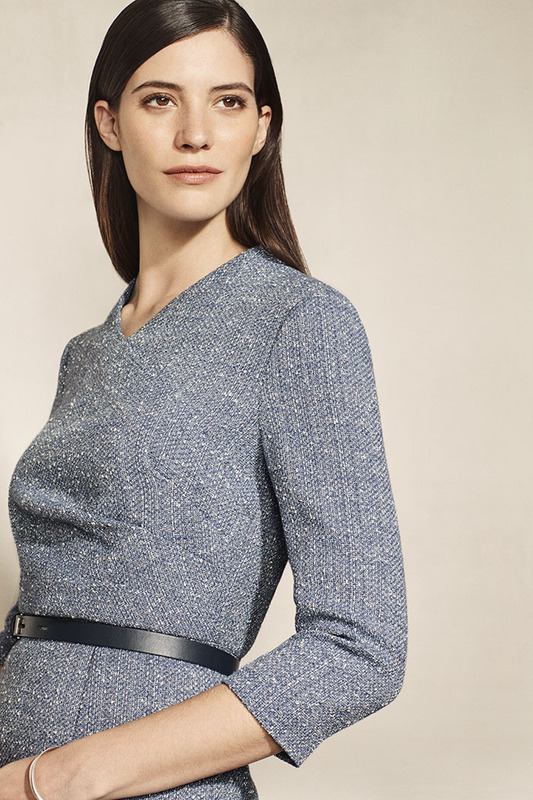 Add definition and texture with a contrasting leather belt. Styled here with the Mercer Belt Navy.